Change is a difficult thing for some, and can cause quite the emotional reaction in others. Having said this, it’s evident the implementation of the New gTLDs in the domain market has been met with some hostility by some. With the many curve balls that life throws at us, the new extensions are perceived by some (domainer’s), as a no-need-for thing, that will disrupt their current livelihood. So, accepting and coming to terms with the fact that the New gTLD extensions are here to stay, is easier said than done. Will they catch on? How much money do I have to spend? What extensions are good or bad? Which one(s) should I invest in, or not? With some people, more specifically domainers, the uncertainty of the New gTLDs has brought out certain characteristics, or stages, one usually associates with grief – Denial, Anger, Bargaining, Depression, and Acceptance. When affected with this confounding affliction, perhaps openly examining these stages may help them know that they are not alone in their misery, and should not feel ashamed when going through the five stages of adapting to the New gTLDs. Below we explain the five stages with a little tough love thrown in to help with the transition. For those who refuse to accept that this is happening… Really? It happened and is happening. Wake up and smell the coffee before you lose out on the second wave of what is one of the biggest domain events ever. Hiding your head in the sand isn’t going to make the New gTLDs go away. 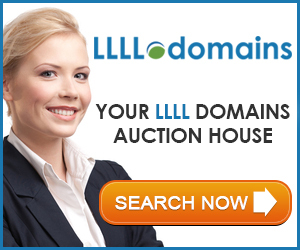 Many have invested way too much of their money and time to have the gTLD program be a failure. They are here to stay. Why the anger? Some have invested in purchasing .com names and fear for the devaluation in their portfolios, because of the new extensions. Some worry that along with the .com they have already purchased for their company or themselves, now they HAVE to also buy a dotWhatever. Of course, people are upset. But that anger can be turned from a negative into a positive. For the portfolio investors, both large and/or small, you were investing, and with investing there is always a risk involved. If you don’t think your names can stand up against a New gTLD, then who else will? You may need to reevaluate your names, and you may need to just let some, or many, of them drop instead of waiting to sell them, because perhaps they weren’t as good as you thought. Cut your losses while you can. Yes, it can be a painful reckoning, but it’s also now a new domaining world. The New gTLDs cannot harm an already bad domain name, but they can accent current in-use ones. Companies and individuals, can use the new extensions as an additional marketing tool to the .com they may already have purchased. It can help clients and potential clients immediately identify with their service or product. Let go of the anger and try thinking outside of the box. So you feel as if you’re losing control of your domaining strategy with this deluge of New gTLDs. Are you trying to postpone the inevitable, that they won’t go away? If you’re trying to make deals with a higher power, or promise to be a better domainer if the gTLDs will just fail, then perhaps you should take a moment and really just come to terms with it all, because this is beyond you and your wishing ability. If bargaining, or wishing and disparaging against the New gTLDs, with yourself and like-minded others, helps ease the pain of the thought of them for you, then by all means, do what gives you an imminent peace of mind. But remember, you can waste your precious time with that, or get a grip on reality and deal with what is here to stay and get on with things. It’s your choice. You may just need a hug. It has been a stressful time for many. No one likes change and it can be almost as traumatic as a death. Or it can be a new beginning. To offer kind words at a time like this would be easy and patronizing. It’s business. Pick yourself up and move forward. There is money to be made here. Domainers buy and sell domain names, not extensions. Stop worrying about what the extension is, and focus on what the best overall ‘domain name’ (keyword and/or extension) that can represent a product or service that will help market someone else’s business needs. Businesses can and should have, and use, more than one domain for their best marketing results. They just need an experienced voice to explain to them the benefits of multiple domain name marketing. Does that perk you up now? Is there a light at the end of the tunnel? Yes. If you want to succeed, you have to believe there is. We have to come to terms with things that we may not like. Bottom line the new extensions are not going away. There’s opportunities for new products (domains) to be sold, and for new and creative businesses and startups, that will be needed to service the needs of marketing these New gTLDs to the masses. It’s time to deal with it and see how you can use them to benefit you and your business . The five stages of adapting to the New gTLDs will not be ‘easy peasy’ for some. Understand that changes in life and business are constant, and nothing changes more rapidly than in the world of the internet. We all must be prepared for, and roll with, the inevitable changes that do occur, and the New gTLDs are one of those changes. Within the next year, more and more New gTLDs will be released, and for the domainers that adapt and execute with caution and vision, there is money to be made. The New gTLDs are and can be, a game changer for domainers, but that depends on whether, or how, one accepts and adapts to them. Do not let this pass you by because you are grieving that life as you’ve known it is gone. It may be a change from what has been, but remember, change can be good. The only stage of your 5 step recovery program that actually exists is the denial stage. The others are figments of your imagination. Face it, the Emperor is wearing no clothes. The gtld concept was flawed from the get-go and that dodo bird just ain’t ever gonna fly. I am in denial too, but it sure feels like reality to me. Don’t see that ever changing. It seems obvious to me that the gtld’s will all fail within the first year.